Acquisition will create faster load times for user profiles in Outlook and OneDrive. Microsoft has revealed it is buying FSLogix, a software start-up, for an undisclosed amount of money. 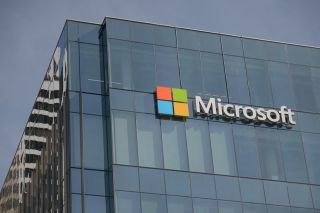 The deal was confirmed by Microsoft via a blog post, written by the company's corporate VP for Office 365, Brad Anderson, who said that the deal will create faster load times for user profiles in Outlook and OneDrive. At the end of the day, FSLogix's work should improve the overall user experience of Office 365 in a 'multi-user environment'. “The way Microsoft 365 enables customers to shift to a modern desktop experience puts it at the heart of workplace transformation,” Anderson wrote. FSLogix's main offering is FSLogix Apps, a piece of software enabling virtual desktop admins to manage per-user applications. They do that by showing only those apps, folders and printers they're allowed to see by the company's policy. The company counts up to 50 employees, currently scattered between Salt Lake City, Denver, Boston, the Netherlands, and London. It is yet unclear how the acquisition will affect them. Before the acquisition, the company raised more than $10 million in funding. Its products target companies between 1,000 and 50,000 users, and are compatible with most of the big cloud vendors, including Amazon, Vmware, Citrix and Red Hat.